To many of Cricket fans – it would be a news that Mohinder Amarnath, the gritty batsman allrounder, Vice-captain of famous World Cup 1983, did captain India in an ODI. That was ODI no. 273 – 2nd ODI against Pakistan at Sialkot. It was not exactly bonhomie. After the first Test in Lahore, which the home side had dominated, Gavaskar lashed out at the officiating, saying, "despite the best efforts of the Pakistan umpires to favour the home team, we have managed to draw the Test and that is a miracle. Before embarking upon the tour of Pakistan we expected close decisions, but what happened in the Lahore Test was pre-planned and predetermined." At Sialkot at Jinnah Stadium, Indian Captain Mohinder Amarnath won the toss - Gavaskar sat the game out with an injury - and decided to bat. India was 210/3 after 40 overs ~ a good score those days .. Anshuman Gaekwad and Ghulam Parkar failed; Sandip Patil made 59; Dilip Vengsarkar was all set to make his maiden century at 94 but came the unusual stoppage. In October 1984, TN Chief Minister MG Ramachandran was diagnosed with kidney failure, which was further complicated by diabetes, a mild heart attack and a massive stroke. MGR did survive all that and died much later in Dec 1987. After days of treatment in Apollo [when Greames Road reportedly was not allowed for commoners ~ huge crowds thronged the Road to get nearer MGR, anxious of his health], on the night of 5th Nov 1984, MGR left for New York. The then PM Ms Indira Gandhi visited MGR at hospital on 16/10/84. She was hale and healthy ! Earlier in Oct 1984, N.T. Rama Rao's visit to New Delhi led to wild rumours. Four days after his wife's death due to cancer, he came from Hyderabad in the morning, met President Zail Singh and Prime Minister Indira Gandhi by appointment. He saw no opposition leaders and made no attacks on Mrs Gandhi. After a "tame" press conference, he flew back home. This led to speculation that he may have struck a secret deal with Mrs Gandhi, that he would show no more interest in getting the Opposition parties together to light her in the coming general elections. In turn, she will let him rule Andhra Pradesh undisturbed. You may or may not like her – but certainly would feel very anguished by the way she was eliminated. Indira Gandhi, charismatic ‘Iron Lady’ of India, was assassinated on the morning of October, 31, 1984. She was the then Prime Minister of India. The assassination was carried out by her ‘Sikh Bodyguards’ Satwant Singh and Beant Singh. The assassination was the aftermath of the ‘Operation Blue Star’ carried out by the Indian Army at her behest. The Indian Army’s June 1984 assault on the Golden Temple in Amritsar left the Sikh temple heavily damaged. Hundreds of people lost their lives and this included both the militants and the Army. However, what followed the assassination was brutal, the recuperations were massive. For the next four days, the country was engulfed in the fire of riots. The country’s capital bore the most of its brunt. Even to those who opposed her, Indira Gandhi, the first lady Prime Minister of the country was a tall leader. Despite the Emergency and the Operation Blue Star, she was popular among the masses. The country was shaken at her death. On that fateful day, she was on her way to meet British actor Peter Ustinov, who was filming a documentary for Irish television. He was going to interview her. At around 9:10 am, Indira was walking through the garden of the Prime Minister’s Residence at No. 1, Safdarjung Road in New Delhi. As soon as she crossed the gate, bodyguards, Beant Singh and Satwant Singh opened fired at her. At around 9:30 am, Indira Gandhi was rushed to All India Institute of Medical Sciences (AIIMS) in a white ambassador. Within six minutes of opening firing on the Prime Minister, Beant Singh and Satwant Singh were nabbed by Indo-Tibetan Border Police – sadly of the 33 bullets that were fired at Gandhi 30 had hit; 23 had passed through her body while seven were trapped inside. As the news of assassination spread, the country plunged to sorrow and reacted wildly at places. Remember walking from Parrys corner to reach home as buses had halted. Though the PM of the nation succumbed at around 2.20 pm, it took hours for the official announcement to be made. The only daughter of Prime Minister Jawaharlal Nehru, Indira Gandhi was destined for politics. 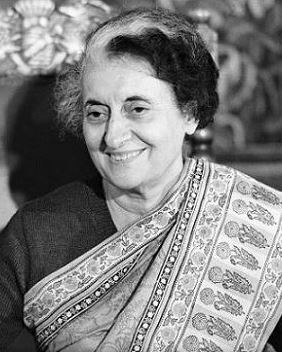 First appointed prime minister in 1966, she garnered widespread public support for agricultural improvements that led to India’s self-sufficiency in food grain production as well as for her success in the Pakistan war, which resulted in the creation of Bangladesh in 1971. After serving three terms, Gandhi was voted out of office for her increasingly authoritarian policies, including a 21-month state of emergency in which Indians’ constitutional rights were restricted. In 1980, however, she was reelected to a fourth term. Nation should remember that strong lady who was murdered this day, 33 years ago ! The match at Sialkot, captained by Mohinder and Vengsarkar stranded at 94 was played on that fateful day – and as the news of assassination reached, the match was abandoned, in fact the tour too was called off. Read in newspapers that the announcement was made with riot police on high alert, not knowing what the crowd's reaction might be ! but, sadly, to the utter disbelief, it was reported that people started clapping and went away peacefully. Indira Gandhi was deeply unpopular in Pakistan, as she had was the popular Indian PM when Bangladesh was born and Pak defeated in 1971 war.